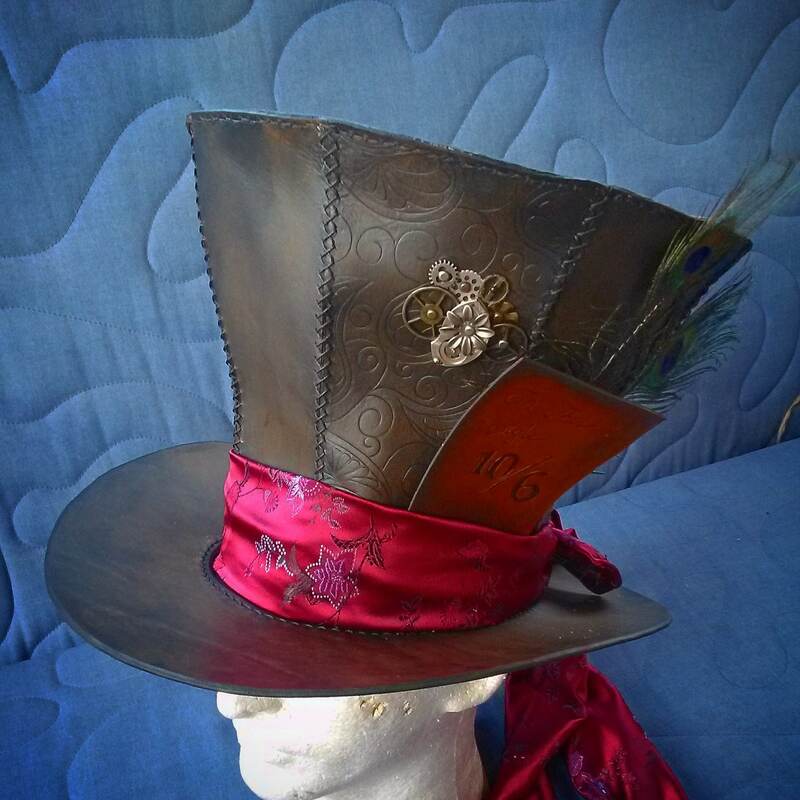 Our interpretation of the Mad Hatter's famous top hat is made from genuine cowhide and comes adorned with antique pocket watch movement, clock parts, gears, spinners, and more. Alternating paisley scroll on every other panel is hand tooled. 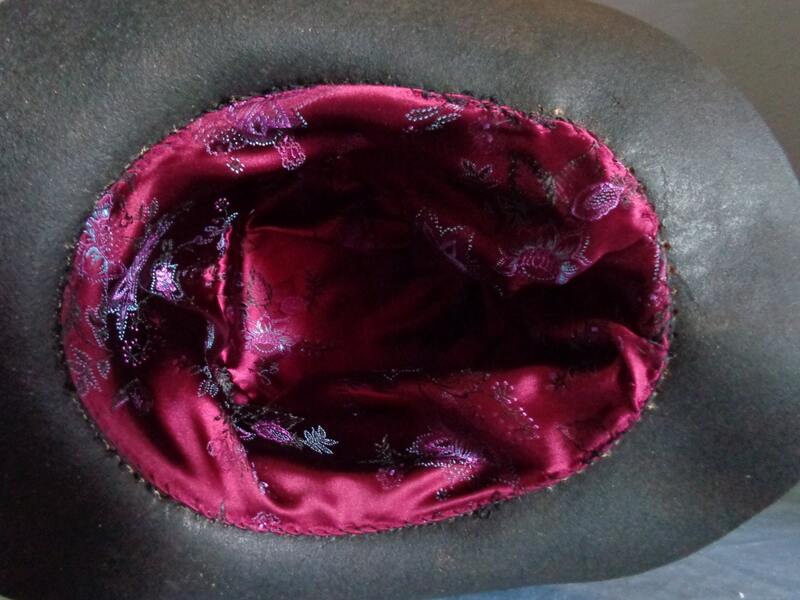 Has matching faux silk hat band and lining. Complete with an hand tooled leather card that reads "In This Style 10/6," and real peacock feathers. These are made to order. Due to the use of real antique pocket watch movements no two will be alike. Customize any way you like with different leather colors, hat band and lining colors, etc. Fabrics may differ from photos due to availability.